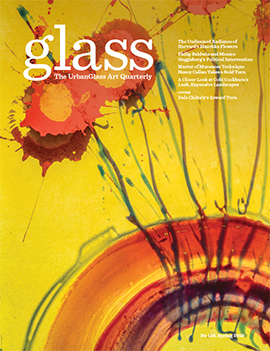 The Rakow Commission is a Corning Museum of Glass annual event that began in 1986. 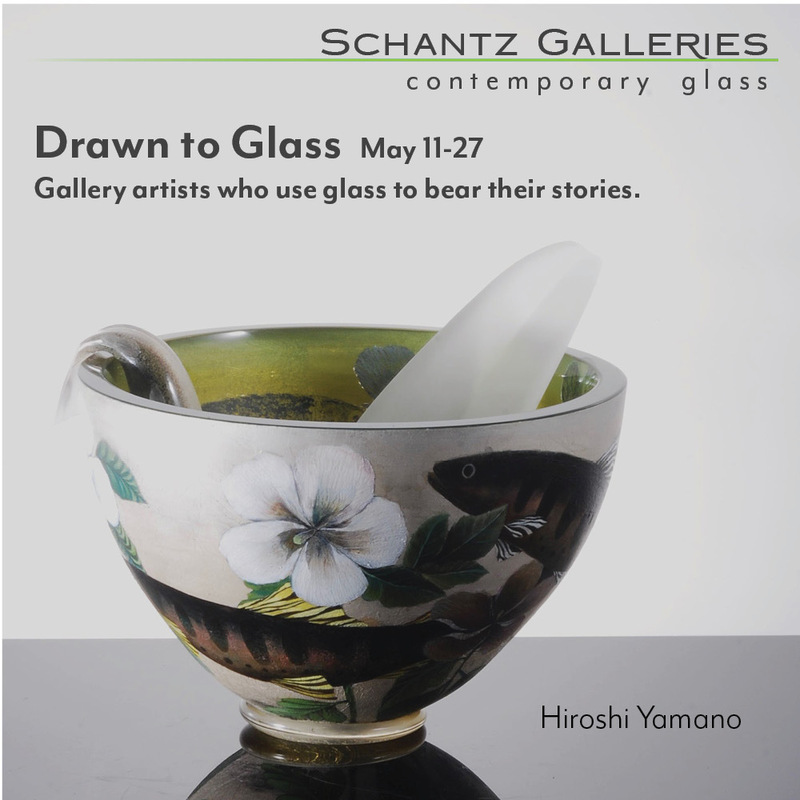 Each year since, a selected artist, not yet in the Corning collection, is offered an opportunity to expand his or her work, and create a new piece for the musuem. On March 28th, 2019, Rui Sasaki was announced as this year's winner, and the artist was in Corning to present a lecture to discuss it. 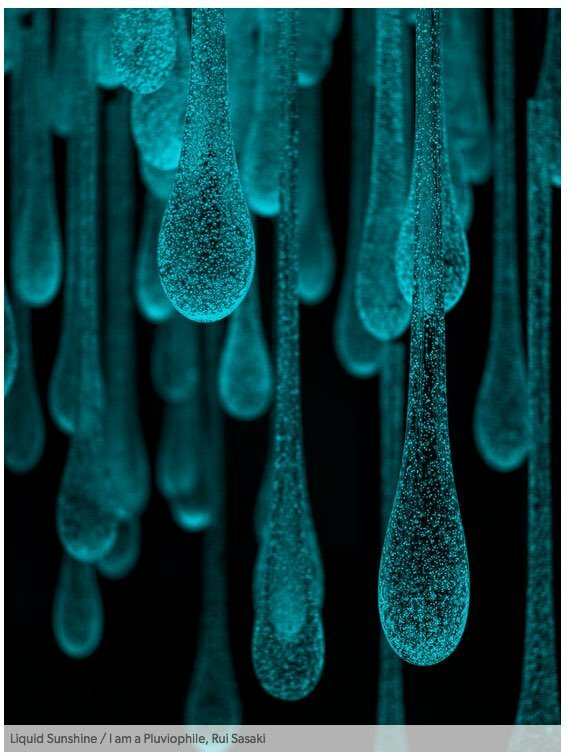 Sasaki's Rakow Commission work, Liquid Sunshine/ I am a Pluviophile will be included in the Corning's upcoming major exhibition "New Glass Now," a survey of the latest work in glass from around the world. Sasaki's artwork is driven by a fascination with nature's subtle fluctuations in light and other cycles, such and precipitation. Quoted in the announcement on Corning's site, Sasaki says, "I feel that weather really affects people emotionally and physically...I want the viewer to be the weather...I want visitors to spend time with the work, because watching it fade out reminds us that even on rainy days, a little sunshine still comes through." This installation draws upon themes central to her main body of work, which probes psychological states fundamental to the human experience such as nostalgia, feelings of loss, and a longing for home. Sasaki constructs spaces as physical manifestations of these emotions mirroring the real spaces in our lives to which we attach meaning. Underlying these ideas is Sasaki's interest in the concept of intimacy as it relates to the our experience of space. Intimacy is what results from the mingling of these feelings stimulated by a space. 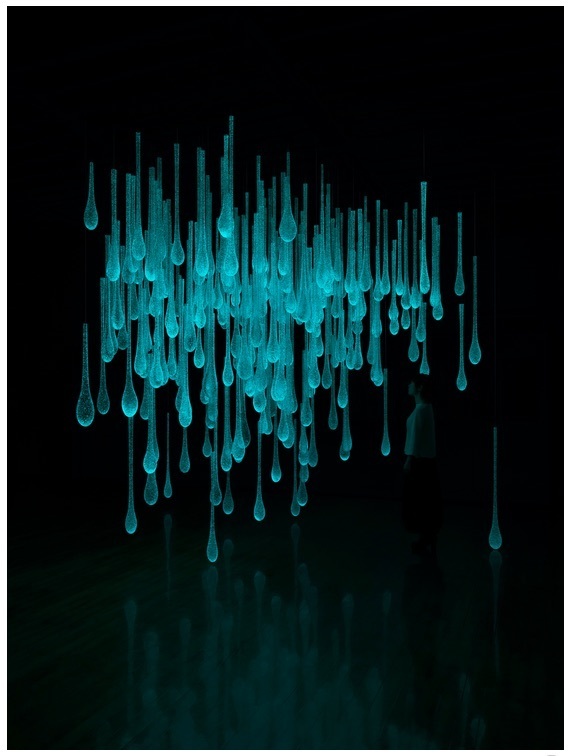 The installation fills an entire room and includes more than 200 blown-glass "raindrops," containing phosphorescent material that absorbs simulated sunlight. Broad-spectrum lights installed in the room are altered by a motion detector, and when someone enters the room the lights shut off leaving only the outlines of the raindrops. The phosphorescent light gradually dims to mimic the rhythm of the winter sun. 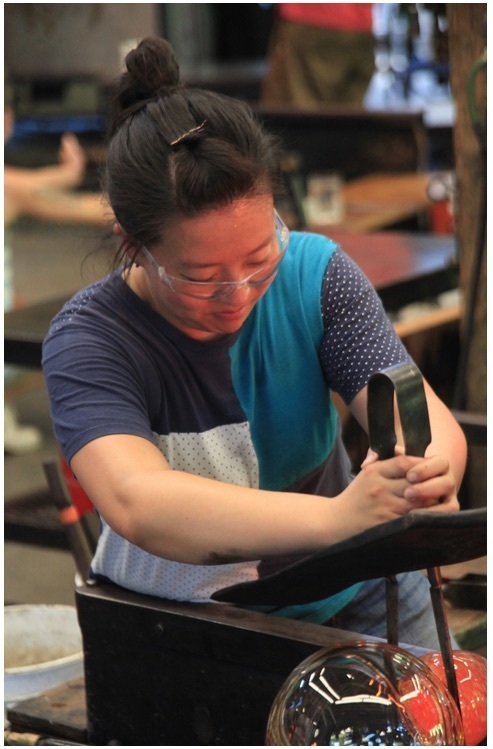 Below is a video of Sasaki discussing the creation of the commission in her studio in Japan.